India vs Ireland Cricket World Cup Highlights - 2015 - 10th March. 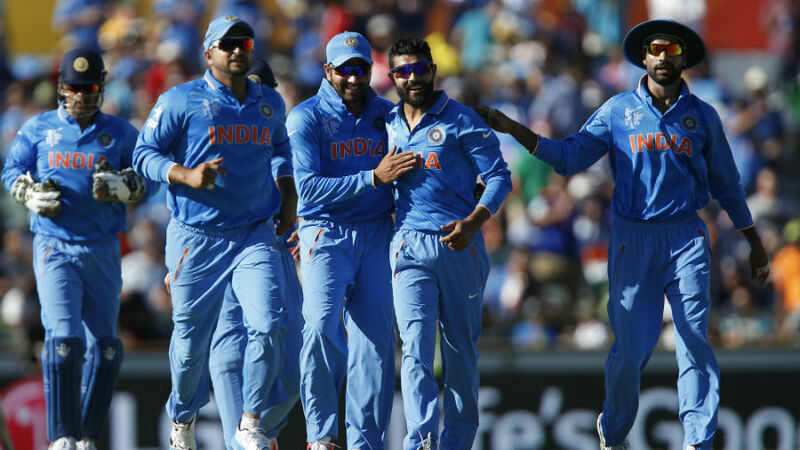 IND vs IRE ICC Cricket World Cup 2015 34th odi Match Highlights at Hamilton. ICC Cricket World Cup Highlights. India Squad: MS Dhoni*†, R Ashwin, STR Binny, S Dhawan, RA Jadeja, V Kohli, B Kumar, Mohammed Shami, AR Patel, AM Rahane, SK Raina, AT Rayudu, MM Sharma, RG Sharma, UT Yadav. Ireland Squad: WTS Porterfield*, A Balbirnie, PKD Chase, AR Cusack, GH Dockrell, EC Joyce, AR McBrine, JF Mooney, KJ O'Brien, NJ O'Brien†, MC Sorensen, PR Stirling, SR Thompson, GC Wilson†, CA Young. DISCLAIMER: These Videos are Uploaded by Other Cricket websites on external servers. We do not Own/Upload these videos.